With the help of Envirofluid, this Water Authority has reduced the levels of Hydrogen Sulphide (H2S) gas dramatically at its main sewage pump station by simply dosing in Triple7 Odour Control Plus; Odour level data showed that maximum levels had dropped to 0.7ppm within a few days. The authority was experiencing unacceptable levels of H2S and were getting complaints regarding the odour from the community, forcing them to conider a major sewerage infrastructure upgrade worth $150,000. They were able to eliminate the issue by simply dosing in Triple7 Odour Control Plus. The Water Authority has had no further complaints from the community regarding sewage odour issues since the installation over 6 months ago. The Water Authority experienced minimal capital outlay and also reduced sewerage infrastructure costs and risks. By dosing Triple7 Odour Control Plus into the sewage pump station it allows workers to have safe entry at all times. This eliminates the need for excessive respiratory and other personal protective equipment. 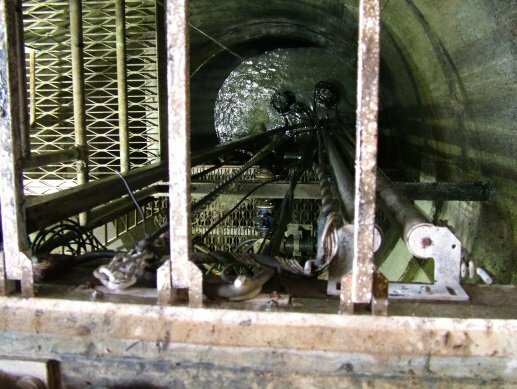 Triple7 Odour Control Plus in sewerage infrastructure prolongs asset lives, removing the need for an immediate $150,000 spend on capital upgrade. A water authority had significant complaints from residents about odour from their main pump station which was collecting effluent from around the city prior to discharge to the main effluent facility. Aged sewage gave H2S levels which were unacceptable to the community. How to provide a cost effective solution to eliminate sewage odours with minimal capital outlay. As there was limited space available at the pump station, a solution had to be provided within current water board infrastructure. Hydrogen Sulphide (H2S) occurs as a result from bacterial breakdown of organic matter and human and animal wastes. Hydrogen Sulphide is a colourless gas with a characteristic odour of rotten eggs that can be smelt at low levels. Its presence makes work in confined spaces potentially very dangerous. Furthermore, when H2S is combined with moisture it can develop into Sulphuric Acid H2S04 which is extremely corrosive, shortening the life of both the pump station and pipe/pipework assets. Major risk would be infrastructure collapse due to corrosion. Potential symptoms: nausea, tearing of the eyes, headaches or loss of sleep, airway problems (bronchial constriction) in some asthma patients, possible fatigue, loss of appetite, irritability, poor memory and dizziness. High concentrations can cause shock, convulsions, inability to breathe, extremely rapid unconsciousness, coma and death. Effects can occur within a few breaths, and possibly a single breath. Health Effects: Some people who breathed in levels of hydrogen sulfide high enough to become unconscious continue to have headaches and poor attention span, memory, and motor function after waking up. Problems with the cardiovascular system have also been reported at exposures above permissible exposure limits. EFS provided Triple7 Odour Control Plus, a specially formulated chemical for the removal of H2S and other toxic gases. This chemical is a powerful bio-based cleaner that is free of any hazardous and toxic ingredients whilst having a background surfactant system which keeps the pump station free of fats, oils & greases. This product is applied via a fogging system at 2-3 litres per day.